Continuation of the report, 'Rabwah – A Place for Martyrs?' of the UK's Parliamentary Human Rights Group mission to Pakistan investigating the internal flight option for Ahmadis. 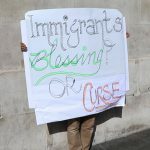 7The Review of Religions – April 2007 not only from among our opponents but even among those who agree with us nominally and who are Muslims on the outside, but whose faith is veiled and whose bodies are without life. In this dark age they do not believe in heavenly signs and consider revelation impossible and describe it as illusion and imagination. They have a very narrow concept of human progress confined to intellectual problems and conjectures. Their concept of God Almighty is that of someone extremely weak and lacking strength. This humble one submits respectfully to all these people that if they deny the effectiveness of the Holy Qur’an and adhere to their old ignorance, they should take advantage of the opportunity that this humble servant is prepared to satisfy everyone from his own experiences. It is proper, there-fore, that as seekers after truth they should turn to me and should observe for themselves the characteristics of the Divine Word which have been mentioned above, and emerging out of gloom and darkness should enter true light. So far this humble one is alive, but life is uncertain. It is proper, therefore, that on hearing this ESSENCE OF ISLAM – SPIRITUAL CHARACTERISTICS OF SURAH FATIHAH The founder of the Ahmadiyya Muslim community was Hadhrat Mirza Ghulam Ahmad(as). The founder of the Ahmadiyya Muslim community was Hadhrat Mirza Ghulam Ahmad(as). 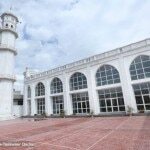 In 1891, he claimed, on the basis of Divine revelation, that he was the Promised Messiah and Mahdi whose advent had been foretold by Muhammad, the Holy Prophet of Islam (peace and blessings of Allah be upon him) and by the scriptures of other faiths. 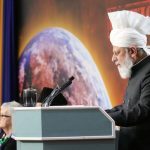 His claim constitutes the basis of the beliefs of the Ahmadiyya Muslim community. 8 The Review of Religions –April 2007 announcement attention should be paid to the establishment of truth and the removal of falsehood so that if my claim should not be established a reason may become available for denial; but if my claim is established then the opponents should give up their false notions and should embrace Islam so as to escape humiliation and disgrace in this life and chastisement and torment in the next. Observe, therefore, brethren and dear ones and philosophers and pundits and Christian ministers and Aryas and followers of nature and Brahmo Samajists, that I proclaim openly that if anyone doubts the characteristics of the Holy Qur’an that I have mentioned and has any hesitation in accepting them, he should turn to me without delay and by keeping company with me for some time steadfastly and sincerely, should witness the accuracy of the above statements with his own eyes, lest after my passing away someone might assert unjustly that he was not invited openly and had not become aware of my claim so that he could have followed it up and asked me for its proof. So, brethren and seekers after truth, please observe that I say it openly and, trusting in God, Whose lights I see day and night, I assume the responsibility that if you will seek the truth with sincerity of heart and will keep company with me for some time steadfastly and in good faith, it will become obvious to you that the spiritual qualities that have been mentioned are truly to be found in the Surah Fatihah and the Holy Qur’an. How blessed then is the person who, emptying his heart of bigotry and rancour and being eager to embrace Islam, should pay attention to my invitation in sincerity and good faith for achieving the purpose in view, and how unfortunate is the man who should pay no attention to this open invitation and should become deliberately an object of the curse and wrath of God Almighty. Death is near and the termination of life is at the door. (Barahin-e-Ahmadiyya, Ruhani ESSENCE OF ISLAM – SPIRITUAL CHARACTERISTICS OF SURAH FATIHAH 9The Review of Religions – April 2007 Khazain, Vol.1, pp.626-635, footnote 11) The Surah Fatihah briefly comprehends all the purposes of the Holy Qur’an. This is referred to in the verse: And We have, indeed, given thee seven oft-repeated verses, and the Great Qur’an. (Ch.15:V.88) This means that: O Prophet! We have bestowed upon thee the seven verses of the Surah Fatihah which briefly compre- hend all the purposes of the Holy Qur’an and, in contrast with them, there is the Great Qur’an which sets out religious purposes in detail. For this reason, this Surah is known as the Mother of the Book and the Comprehensive Surah. It is the Mother of the Book because all purposes of the Holy Qur’an can be derived from it, and it is called the Comprehensive Surah, as it briefly comprehends all types of learning contained in the Qur’an. It is for this reason that the Holy Prophet(saw) has said that reciting Surah Fatihah, is like reciting the whole Qur’an. The Holy Qur’an and the Ahadith show that the Surah Fatihah is a mirror that displays the Qur’an. For instance, it is one of the purposes of the Holy Qur’an that it sets out all the perfect praise of God Almighty and states clearly the complete perfection that He possesses. This is briefly set forth in the Surah Fatihah in the verse: All praise belongs to Allah. (Ch.1:V.2) which means that all types of perfect praise are established for Allah Who is comprehensive of all excellences and is worthy of every type of worship. The second purpose of the Holy Qur’an is that it manifests God’s being the Perfect Fashioner and the Creator of the universe, and sets forth the beginning of the universe, and describes as a creation of God all that is part of the universe and proves the ESSENCE OF ISLAM – SPIRITUAL CHARACTERISTICS OF SURAH FATIHAH 10 The Review of Religions –April 2007 falsehood of those who are opposed to this. This purpose is set forth briefly in the phrase: Lord of all the Worlds. (Ch.1:V.2) The third purpose of the Holy Qur’an is to establish the unearned grace of God and to set forth His general Mercy. This purpose is conveyed briefly in: The Gracious. (Ch.1:V.3) The fourth purpose of the Holy Qur’an is to establish that grace of God which follows upon effort and diligence. This is set forth in: The Merciful. (Ch.1:V.3) The fifth purpose of the Holy Qur’an is to set forth the true condition of the hereafter. This is comprehended in the phrase: Master of the Day of Judgement. (Ch.1:V.4) The sixth purpose of the Holy Qur’an is to set forth the sincerity and servitude and purification of the soul from that which is beside Allah, and the remedy of spiritual ills and the reform of moral qualities and the upholding of the Unity of God in worship. This is included briefly in the affirmation: Thee alone do we worship. (Ch.1:V.5) The seventh purpose of the Holy Qur’an is to establish God as the true source of all action, and of all strength and benevolence, and help and steadfastness, and obedience and freedom from sin, and the acquisition of all the means of doing good, and the reform of the here and the hereafter, and to emphasise the need of seeking His help in all matters. This purpose is set forth briefly in the affirmation: Thee alone do we implore for help. (Ch.1:V.5) The eighth purpose of the Holy Qur’an is to set forth the fine ESSENCE OF ISLAM – SPIRITUAL CHARACTERISTICS OF SURAH FATIHAH 11The Review of Religions – April 2007 points of the straight path and to emphasise the need of seeking it through prayer and supplication. This is briefly included in supplication: Guide us in the right path. (Ch.1:V.6) The ninth purpose of the Holy Qur’an is to set forth the way and manner of those who become the recipients of God’s bounty and grace so that the hearts of the seeker after truth might be comforted. This purpose is included in: …the path of those on whom Thou hast bestowed Thy blessings. (Ch.1:V.7) The tenth purpose of the Holy Qur’an is to set forth the qualities and way of those with whom God was displeased and of those who lost the way and fell into all sorts of innovations so that the seekers after truth should be warned of their ways. This purpose is included in: …those who have not incurred displeasure, and those who have not gone astray. (Ch.1:V.7) These are the ten purposes that are set out in the Holy Qur’an and that are the roots of all verities. So they are all briefly mentioned in the Surah Fatihah. (Barahin-e-Ahmadiyya, Ruhani Khazain, Vol.1, pp.580-585, footnote 11) Perfection in Conduct by Following the Holy Qur’an Those who put their trust in reason alone are as defective and deficient in action, faithfulness and sincerity of conduct, as they are deficient in knowledge, understanding and certainty. Their group has not set up an example which should prove that they are included among millions of holy people who are the faithful servants of God and are acceptable to Him. The blessings of these were so manifested that through their preaching and admonition with prayer and attention, and the influence of ESSENCE OF ISLAM – SPIRITUAL CHARACTERISTICS OF SURAH FATIHAH 12 The Review of Religions –April 2007 their company, hundreds of people began to tread the straight path and, becoming the men of God, turned wholly to their Lord. They paid no attention to the world and its contents, and cut off altogether from the delights, comforts, joys, renowns, prides, properties, and kingdoms of this world. They followed the path of righteousness whereby hundreds of them lost their lives, and thousands of heads were cut off, and the earth became wet with the blood of hundreds of thousands of holy ones. Despite all these calamities, they exhibited such fidelity that like devoted lovers they laughed while their feet were shackled, were joyful while suffering pain, and were grateful in the midst of misfortunes. For the sake of the love of the One they abandoned their homes, chose disgrace in place of honour, distress in place of comfort, poverty in place of wealth, and were content with indigence, solitude and helplessness in place of every kind of relationship, association and joy. By shedding their blood and having their heads cut off and laying down their lives, they set a seal upon the existence of God. By the blessing of following the Word of God they acquired such special lights as have never been found in others. Such people were not only to be found in ages past, but this group of the elect is ever present in Islam and refutes its opponents by its illumined being. Thus we have proved con- clusively that as the Holy Qur’an conveys one to the high grade of intellectual perfection, in the same way, one attains through it to the stage of perfection in conduct also. The lights and signs of being accepted by God have always appeared and continue to appear in those who have followed this Holy Word and not in others. For a seeker after truth this proof which he can observe with his own eyes is enough, namely, that heavenly blessings and Divine Signs are found only in the perfect followers of the Holy Qur’an and that all other sects, who turn away from revelation, whether Brahmos, Aryas or Christians, are altogether deprived of this ESSENCE OF ISLAM – SPIRITUAL CHARACTERISTICS OF SURAH FATIHAH 13The Review of Religions – April 2007 light of truth. We make ourselves responsible for satisfying every- one who denies this, provided such a one, being eager to embrace Islam sincerely, should turn to us in complete good faith and steadfastness and sincerity for seeking the truth. (Barahin-e-Ahmadiyya, Ruhani Khazain, Vol. 1, pp. 350-352, footnote 11) Prophecies in the Narrated Stories in the Holy Qur’an The stories set out in the Holy Qur’an are in reality prophecies which have been stated in the form of stories. 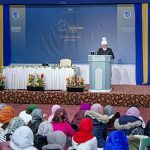 In the Torah, they are merely stories but in the Holy Qur’an, every story is a prophecy concerning the Holy Prophet(saw) and Islam and these prophecies have been very clearly fulfilled. The Holy Qur’an is an ocean of verities, insights and prophecies. It is not possible that a person should believe fully in God Almighty except through the Holy Qur’an. A characteristic special to the Holy Qur’an is that by following it perfectly all obstructions that exist between man and God are removed. Followers of other religions mention the name of God by way of a tale, but the Holy Qur’an shows the countenance of the True Beloved and makes the light of certainty enter the heart of a person. God, Who is hidden from the whole world, is seen only through the Holy Qur’an. (Chashma-e-Ma’rifat, Ruhani Khaza’in, Vol. 23, pp. 271-272) Uniqueness of the Holy Qur’an in All its Qualities The Holy Qur’an is not matchless merely on account of the beauty of its composition, but is matchless on account of all its excellences which it claims to comprise and that is the truth, for whatever proceeds from God Almighty is not unique only on account of one quality but on account of every one of its qualities. Those who do not accept the Holy Qur’an as comprehensive of unlimited verities and insights, do not value the Qur’an as it should be valued. A necessary sign for the recognition of the holy and true Word of God is that it should be unique in all its qualities, for we ESSENCE OF ISLAM – SPIRITUAL CHARACTERISTICS OF SURAH FATIHAH 14 The Review of Religions –April 2007 observe that whatever proceeds from God Almighty is unique and matchless even if it is only a grain of barley, and human powers cannot match it. Being matchless means being unlim- ited, that is to say, a thing can be matchless only when its wonders and qualities are unlimited and have no end. As we have just stated, this characteristic is found in everything created by God Almighty. For instance, if the wonders of a leaf of a tree are investigated for a thousand years, that period would come to an end, but the wonders of the leaf will not come to an end. That which has come into being through unlimited power, must comprise unlimited wonders and qualities. The verse: Say, ‘If the ocean became ink for the words of my Lord, surely, the ocean would be exhausted before the words of my Lord were exhausted, even though We brought the like thereof as further help.’ (Ch.18:V.110) supports this, for the whole of creation is Words of God… Thus this verse means that the qualities of creation are without limit and endless. Now when every created thing possesses unlimited and endless qualities and comprises numberless wonders then how could the Holy Qur’an, which is the Holy Word of God Almighty, ESSENCE OF ISLAM – SPIRITUAL CHARACTERISTICS OF SURAH FATIHAH ‘THE STORIES SET OUT IN THE HOLY QUR’AN ARE IN REALITY PROPHECIES WHICH HAVE BEEN STATED IN THE FORM OF STORIES. IN THE TORAH, THEY ARE MERELY STORIES BUT IN THE HOLY QUR’AN, EVERY STORY IS A PROPHECY CONCERNING THE HOLY PROPHET(SAW) AND ISLAM AND THESE PROPHECIES HAVE BEEN VERY CLEARLY FULFILLED.’ 15The Review of Religions – April 2007 be confined to the few meanings which may be set out in a commentary of forty or fifty or a thousand volumes, or could have been expounded by our lord and master the Holy Prophet(saw) in a limited period? To say so would almost amount to disbelief, if it is deliberately persisted. It is true that whatever the Holy Prophet(saw) has set forth as the meaning of the Holy Qur’an is true and correct, but it is not true that the Holy Qur’an contains no more than the insights that have been set forth by the Holy Prophet(saw). Such sayings of our opponents indicate that they do not believe in the unlimited greatness and qualities of the Holy Qur’an. Their saying that the Holy Qur’an was revealed for the benefit of the unlearned, further proves that they are wholly bereft of the light of the recognition of the Holy Qur’an, and do not realise that the Holy Prophet(saw) was sent not only for the unlearned, but that people of all grades are included among his followers. God, the Glorious, has said: Say, ‘O mankind! Truly I am a Messenger to you all from Allah.’ (Ch.7:V.159) This verse shows that the Holy Qur’an was revealed for the perfection of every capacity. The following verse also points to this: …but he is the Messenger of Allah and the Seal of the Prophets. (Ch.33:V.41) The notion that whatever the Holy Prophet(saw) has said with reference to the Qur’an cannot be exceeded is obviously false. We have established with conclusive and certain arguments that it is necessary for the Word of God Almighty that its wonders should be unlimited and matchless. If it is objected that if the Holy Qur’an comprises hidden wonders and qualities, then why were the earlier people deprived of their knowledge? The answer is that they were not deprived altogether of Qur’anic wonders, but were bestowed whatever in God’s design was needed by them of the knowledge of those ESSENCE OF ISLAM – SPIRITUAL CHARACTERISTICS OF SURAH FATIHAH 16 The Review of Religions –April 2007 wonders and whatever was needed in this age has been manifested in this age. That which is the basis of faith, by knowing and accepting which a person can become a Muslim, has been proclaimed clearly in every age. I wonder wherefrom have these Maulavis, who lack intelligence, gathered that God Almighty was under obligation that whatever of His favours and bounties was to be manifested in future must be proved to have existed in past ages also. (Karamat-us-Sadiqin, Ruhani Khaza’in, Vol. 7, pp. 60-62) Standards for a True Commentary of the Holy Qur’an The first standard of a true commentary on the Holy Qur’an is the testimony of the Qur’an itself. It should be remembered that the Holy Qur’an is not like other books dependent upon something else for proof or disclosure of its verities. It is like an orderly structure the whole of which is disturbed by the displacement of one if its bricks. It comprises no verity which is not supported by ten or twenty testimonies contained in it. When we interpret a verse of the Holy Qur’an we should consider whether it contains other testi- mony in support of the meaning that we have adopted. If other testimony is not available and the meaning that we have adopted is found to be opposed to other verses, we should realise that that meaning is false for it is not possible that there should be any contradiction in the Holy Qur’an. The sign of true meaning is that a whole host of clear testimony from the Holy Qur’an should confirm it. The second standard for a correct interpretation of the Qur’an is the commentary of the Holy Prophet(saw). There can be no doubt that the person who understood the meaning of the Holy Qur’an best was our dear and grand Prophet(saw). Thus if an inter- pretation by the Holy Prophet(saw) becomes available, it is the duty of every Muslim to accept it instantly without hesitation, and whoever fails to do this would be ESSENCE OF ISLAM – SPIRITUAL CHARACTERISTICS OF SURAH FATIHAH 17The Review of Religions – April 2007 guilty of heresy and philoso- phising. The third standard is inter- pretation by the companions of the Holy Prophet(saw). There is no doubt that the companions of the Holy Prophet (saw), were the first heirs of the lights of the Holy Prophet(saw) and of his knowledge, and that they were bestowed great grace by God Almighty and their perception was aided by God for they not only professed but practised. The fourth standard is reflection upon the Holy Qur’an with one’s pure spirit, inasmuch as the Holy Qur’an has a relationship with purity of spirit. God the Glorious says: Which none shall touch except those who are purified. (Ch.56:V.80) This means that: A person with a purified heart appreciates the holy insights of the Qur’an on account of his relationship with the Qur’an. He recognises them and smells them and his heart bears witness that this is the true way. The light of his heart is a good standard for testing the truth. Unless a person is purified in practice and passes through the narrow path through which the Prophets have passed, he should not become a commentator of the Qur’an out of impertinence and arrogance, for his commentary would be based upon his opinion and such commentary is forbidden by the Holy Prophet(saw) who has said: ‘He who interprets the Qur’an on the basis of his opinion is in error, even if he should put forward a commentary which he considers right.’ The fifth standard is the Arabic lexicon, but the Holy Qur’an supplies so many means itself that it is not very necessary to have recourse to the lexicon, though it adds to one’s under- standing. Sometimes by having recourse to the lexicon attention is drawn to the mysteries of the Holy Qur’an and a hidden matter is discovered. ESSENCE OF ISLAM – SPIRITUAL CHARACTERISTICS OF SURAH FATIHAH 18 The Review of Religions –April 2007 The sixth standard of appre- ciating the spiritual system is the physical system, for there is complete accord between the two. The seventh standard is the revelation and visions of the saints. This standard in a way comprises all other standards as the recipient of revelation is a complete reflection of the Prophet whom he follows, and with the exception of Prophethood and new com- mandments, he is bestowed everything that is bestowed on the Prophet. The certain and true teaching is disclosed to him and he receives everything by way of bounty and favour that is bestowed on the Prophet whom he follows. He does not indulge in conjecture, but speaks having seen and expounds having heard. This way is open for the Muslims for it cannot be that there should be no true heir. (Barakat-ud-Du’a, Ruhani Khazain, Vol. 6, pp. 17-21) It should be remembered that we are not permitted to make any change in the text or sequence of any verse in the Word of God, except when the Holy Prophet(saw) himself should have done so and it can be proved that he did so. In the absence of such proof we cannot disturb the sequence of the Holy Qur’an, nor can we add anything to it. If we do so, we would be guilty of an offence and would be accountable for it. (Itmam-ul-Hujjah, Ruhani Khaza’in, Vol. 8, p. 291) Ten Systems of Roots in the Holy Qur’an It should be remembered that the Holy Qur’an is comprehensive of ten systems of roots: 1. The system in which the existence of God and arguments in support of it, and such Divine attributes, names, actions, ways and habits are set out as are special to the Being of Allah, the Glorious; also those phrases which relate to His perfect praise regarding His glory, beauty and greatness. 2. The system which is compre- ESSENCE OF ISLAM – SPIRITUAL CHARACTERISTICS OF SURAH FATIHAH 19The Review of Religions – April 2007 hensive of the Unity of God and arguments in support of it. 3. The system in which the qualities and actions, and conduct and habits, and spiritual and physical con- ditions are manifested by creatures in the presence of God Almighty in accord with His pleasure or contrary to it. 4. The system which contains complete guidance from God concerning admonitions and the teaching of moral qualities and doctrines, and the rights of God and the rights of His creatures, and wise knowledge, and limits and commandments, and directions and prohibitions, and verities and insights. 5. The system which expounds what is true salvation and what are the true means of achieving it and what are the signs and conditions of the believers and of those close to God who have achieved salvation. 6. The system that sets out what is Islam and what is disbelief, and what is shirk, and arguments in support of Islam, and answers to objections. 7. The system which refutes all the false doctrines of the opponents of Islam. 8. The system that comprises warnings and good news, promises and sanctions, world of the hereafter and miracles, illustrations and prophecies which foster faith, and such stories as serve to admonish, warn or convey good news. 9. 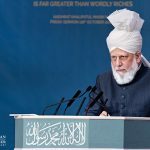 The system that comprises the life history and holy qualities of the Holy Prophet(saw) and his excellent example, and the arguments in support of his Prophethood. 10. The system that sets forth the qualities of the Holy Qur’an and its effects and its characteristics. ESSENCE OF ISLAM – SPIRITUAL CHARACTERISTICS OF SURAH FATIHAH 20 The Review of Religions –April 2007 ESSENCE OF ISLAM – SPIRITUAL CHARACTERISTICS OF SURAH FATIHAH These are the ten systems which are found in the Holy Qur’an in their perfection like ten circles. In these ten circles, God Almighty has made use of such pure and distinct roots that sane reason immediately testifies that this complete and perfect system of roots was appointed in the Arabic language for the service of the Qur’an. That is why this system of roots is in full accord with the educative system of the Holy Qur’an, which is complete and perfect. The system of roots of other languages is not in accord with the educative systems of those books which are called Divine, and which are said to have been revealed in those languages; nor are the ten circles mentioned above found in those books. It is one of the strong proofs of the deficiency of those books that they are deprived of the necessary circles, and that the roots of the language have not been able to keep company with the teaching of those books. The reason for this is that those books are not the real books, and served only a temporary purpose. There is only one real Book which came into the world which was to serve the welfare of mankind forever. It was revealed with the ten perfect circles, and its system of roots is in accord with its educative system, and every one of its ten circles is accompanied by its system of roots according to its natural quantity and values in which distinct roots are appointed for the manifestation of Divine attributes, and for the explanation of four types that have been mentioned, and for every circle of teaching a perfect circle of roots is available. (Minan-ur-Rahman, Ruhani Khaza’in, Vol. 9, pp. 150-152, footnote) 21The Review of Religions – April 2007 Potential Risk Factors Faced by Ahmadis in Rabwah Prior to travelling to Pakistan the mission identified potential risk factors faced by Ahmadis. The interview questions and sources were selected to investigate these factors with a focus on the treatment of Ahmadis in Rabwah. 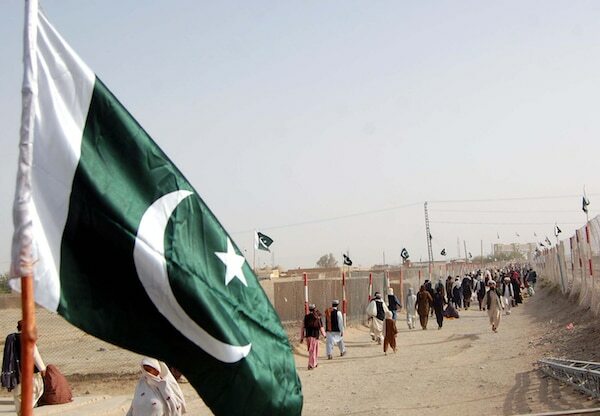 As previously noted, it quickly became apparent to the mission that an understanding of the national context is important when considering the potential risks to and protection for Ahmadis in Rabwah. The following material should therefore be read taking account of the perspective offered in the previous section, ‘The Position of Ahmadis in Pakistan’. 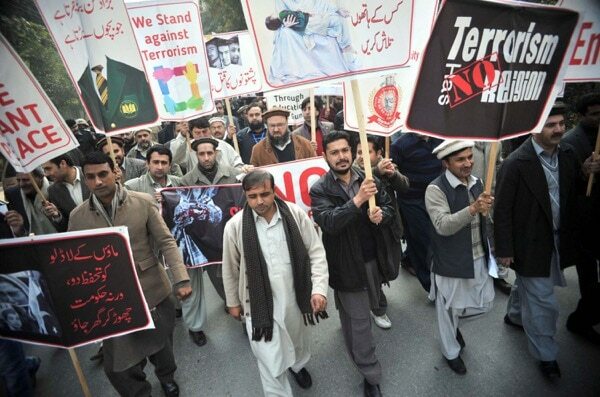 The potential risk factors identified by the mission are: the blasphemy laws; practising or expressing the Ahmadi faith; preaching by Ahmadis; threats and physical attacks; and attacks on property. Evidence collected by the mission relating to each factor is set out below. However, it should be noted throughout that, according to the British High Commission, there is Rabwah: A PLACE FOR MARTYRS? 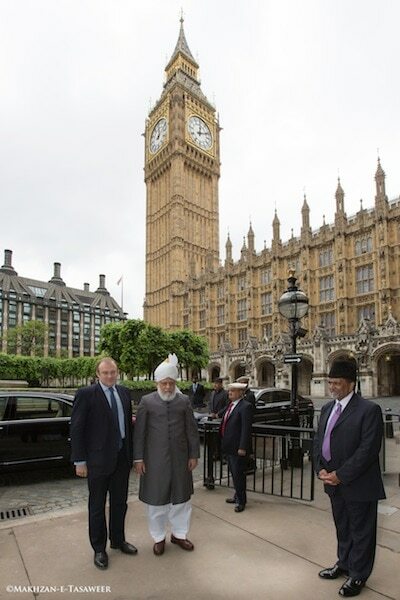 Part two By Dr Jonathan Ensor – UK Report of the UK Parliamentary Human Rights Group mission to Pakistan into internal flight for Ahmadis. Mission members: Frances Allen, Michael Ellman, Jonathan Ensor. An independant report (reproduced with prior permission) that destroys the myth that being a majority in their headquarters, Ahmadis may be able to obtain police protection. A chilling reminder of the ostracisation of Ahmadi Muslims in Pakistan, their continuing persecution and the absence of any protection by the authorities in Pakistan.